Sofar Sounds offers artists and music lovers the chance to perform and enjoy live music in an intimate setting. The gigs often feature new bands such as Bastille, Lucy Rose and The Staves all before they were famous and are often held in someone's living room! 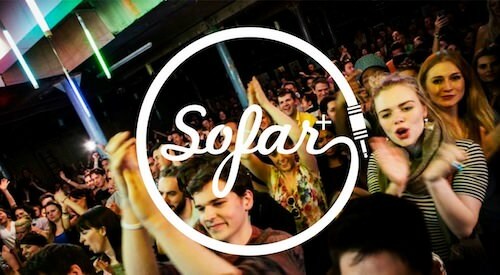 Following their first public event in May which was a sellout, Sofar Sounds have announced Sofar+. The event takes the Sofar concept to the next level - from gig to all day festival on 5th October 2013 at The Colourworks, a former printing factory in Hackney Wick. As ever, the lineup for Sofar+ will remain unannounced, keeping true to the Sofar style of curating secret gigs, with a primary focus on exposing new talent to a bigger audience of appreciative music consumers. As well as a fantastic lineup you can look forward to local food stalls and 6 hours of live music! If for some strange reason you need more convincing then head over to YouTube to view more videos from previous Sofar events. Tickets are available to buy now on Billetto, Doors will open at 3pm. For more information contact info@sofarsounds.com.